Tomatoes (Solanum lycopersicum) are grown as annuals in most American vegetable gardens for eating and cooking. While they are relatively hardy and easy to grow, they are susceptible to four varieties of blight. A number of treatments can destroy and prevent blight. Prior to treatment, fruit showing signs of blight infection should not be eaten or used for canning. 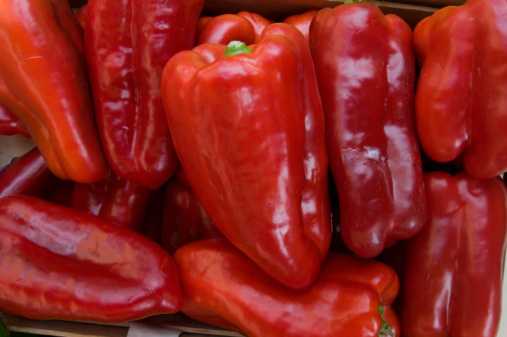 Refrigerating fresh tomatoes diminishes their good flavor and texture. Early blight is cause by a fungus called Alternaria solani. It causes brown wounds on foliage, stems and fruit. The wounds grow and can damage an entire tomato fruit. Wounds frequently develop into a bulls-eye type spot. Tomatoes eventually drop from the stems. The fungus lives in debris and soil under the plants and benefits from moist conditions. Late blight develops within 14 days of a tomato plant contracting the fungus Phytophthora infestnas. Symptoms include browning and shriveling leaves and stems. In addition, dark, water-soaked lesions appear on leaves that develop into spots with white mold edges. Fruits have dark lesions that can grow across broad areas. This fungus spreads through rain and wind. Late blight flourishes in cool, wet conditions. Septoria leaf spot, caused by the fungus Septoria lycopersici, attacks lower leaves once fruit begins to set. Look for small black specks surrounded by light-colored circles with dark borders. These tiny specks produce more fungal spores. Severe infections can result in plants losing all leaves. Septoria leaf spot impairs production, resulting in smaller, inferior fruits. The fungus overwinters on previous crops and old vegetation. Southern blight is caused by the fungus Sclerotium rolfsii. This fungus rots stems near the soil line and wilts leaves. The brown rot is comprised of lesions that often have a white fungal covering. Southern blight can damage fruits that touch the soil. The fungus can live in soil and plant debris for years. It prefers moist, hot conditions. If you prefer to make your own fungicide, mix 2 tablespoons each of cooking oil, baby shampoo and baking soda in 1 gallon of water. Spray mixture on both sides of leaves until dripping. Reapply every five to seven days until fungus is gone. Water plants the day before applying this mixture. While you made have heard the rumor that a copper wire inserted into a tomato stem prevents blight, experts at the National Gardening Association have found no truth to the rumor. Home remedy rumors related to curing blight with bleach are also unfounded. Blight is a fungus that requires a fungicide. Bleach primarily kills bacteria. Bleach damages gardening tools, plant tissues, plant seeds and clothing. It can also cause human health issues. Some gardeners apply cornmeal to the soil or create a cornmeal spray to prevent blight. Cornmeal is often used in scientific and university labs to grow fungi, so it certainly is not a fungicide. Cornmeal cannot cure or prevent blight. 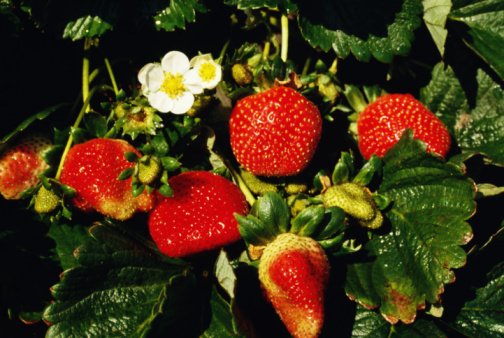 Treat blight infections by dusting plants with a commercially available copper fungicide. Using a pressure duster, apply a thin layer of fungicide powder on the plant, dusting the tops and bottoms of leaves. Reapply every three to 10 days if necessary until symptoms are gone, and blight is cured. 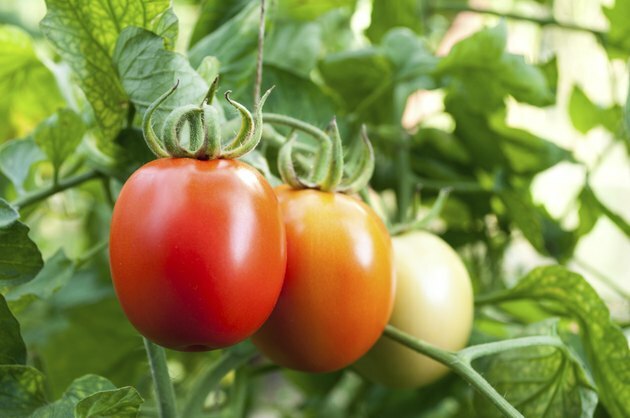 Gardeners can treat tomato plants with fungicide up until the day before harvesting fruit. Keep children and pets away when dusting plants until the dust has completely settled. Prevent southern blight by placing a barrier of aluminum foil around the lower 2 inches of plant stems. Bury the bottoms of the foil sleeves into the soil 1 to 2 inches. This will block the fungus from infecting the plants. Repair and cure blight-infected soil by deeply turning the top 10 inches of ground over. This practice buries the tiny seeds of the fungus, which can live in the topsoil for years.